Inventory management is not the sort of thing that gets most entrepreneurs' blood flowing--until their inventory manager leaves. That's exactly what happened to Marc Isaacson, the CEO of online integrative pharmacy Village Green Apothecary, in 2008. Isaacson filled the position by promoting a purchasing assistant. Before long, the company was running out of its most popular items. "At the very least, we lost those particular sales and in some cases, we lost the customers," Isaacson says. He estimates the total loss at 2% to 3% of sales. Isaacson's first fix was to start using a "blue dot" system: putting a blue dot next to each of his approximately 1,000 best-selling items, making them easier to identify, and requiring three to four weeks' of stock for each. 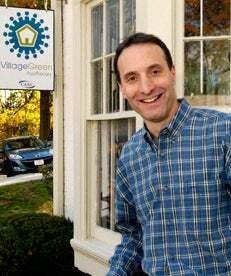 About 2% of Village Green's inventory used to be out of stock at any given time; after using blue dot, that number came down to just 0.5%. "Not only does this mean we don't have to disappoint our customers, but this has raised morale among the staff as well," says Isaacson, whose Bethesda, Md.-based company has about 50 employees. "They don't have to deal with the frustration of not being able to fulfill an order." Properly managing your inventory involves more than making good hires and getting blue dots next to your best sellers--although those are excellent first steps. Here are some common mistakes entrepreneurs make in managing their inventory, and how to fix them. Afraid of being caught short, it's easy to spend too much on inventory, which can eat up working capital and erode profits. Warehousing isn't free, of course, and inventory that sits on a shelf is subject to damage, depreciation, and even obsolescence. Old inventory can be very hard to move. Your options aren't great, says Paul Huppertz, a logistics expert with The Progress Group, a supply chain consulting company based in Atlanta. "You may end up marking it down, selling to discounters, or shipping it to overseas liquidators." To fix it: Start with some decent projections of how much supply you'll need and when you'll need it. The best gauge is what you've sold in the past. If you've sold 100 items per month for the past 12 months, chances are that you'll need 100 this month. Then there's seasonality: Do you usually see a fourth quarter spike with holiday sales? Or, if you're in the home and garden business, do you see more activity in the spring selling season? "You can also identify and quantify less obvious patterns such as month-end spikes," says Huppertz. Once you know how much you need, you have to make sure you actually have it on hand. Opportunities for miscounts are everywhere: during receiving, during order fulfillment and the all-too-common pilferage. In manufacturing, says Huppertz, you've also got to account for yield or scrap during production. To fix it: Using electronic data interchange (EDI) and bar code scanning can help eliminate data entry errors. Huppertz suggests implementing a system of so-called "cycle counting." Choose a few items a day and compare the inventory record to the actual count. Best sellers should get counted more often. It can take an outsized amount of time and resources to keep track of all the details for each inventory item. Some triage is in order. To fix it: Focus on the items that matter most. Generally, 80% of demand will be generated by 20% of your items. Spend most of your effort on those "A" items, forecasting, reviewing in-stock position and reordering more frequently. The next highest-selling 30% of items, the "B" items, will typically generate about 10% of sales. The slowest selling "C" items account for half the items you stock, but only generate 10% of your sales. It may seem natural to use spreadsheets such as Microsoft Excel or Lotus 123 to track your inventory. But Sid Helms, director of IT at Martinsville, Va.-based Diversified Distribution, which provides third-party logistics services, says you're asking for trouble if you use spreadsheets that way. He says it's easy for spreadsheets to be accidentally deleted or for changes to be lost. And he says there's no foolproof way for multiple people working on inventory to synchronize their spreadsheets. To fix it: Use software such as Quickbooks or Peachtree. Yes, these are better-known as accounting packages, but they include inventory features and will make it easy to get a dollar value for your inventory. They can also provide you with a central database. Congratulations! You're happily bar-coding away, and you've got your inventory in Quickbooks or Peachtree. Now what happens if there's a fire or your computer is badly damaged or stolen? To fix it: First, take a deep breath and consider the worst-case scenario, such as fire or theft. Your backup plan can be as simple as saving critical data to a removable thumb drive. (Just don't leave it at the office.) Software such as Norton Ghost or Symantec Backup Exec can get the job done, too. And it's not a bad idea to send a backup copy of your inventory data to your accountant every month, says Helms. After all, why should the fun of inventory be limited to your employees?